A New Year is here! Although I am not a big advocate of making new years resolutions, any time we commit to improving the way we feel, connecting more to those we love, and stressing less is a good thing. A few months ago, my fantastic team and I met to decide on the direction for the Dr. Joey newsletter in the New Year. We decided we want to bring YOU more - more joy, more health, more chances to win amazing give aways and more ways to lose weight and feel your best inside and out. Thus, in 2015, each newsletter will highlight the latest natural health products, delicious and easy recipes and meal plans plus... my foolproof tips to lose weight and feel your very best. So... tell all your friends and family - this is the year to sign up to www.drjoey.com. By doing so, there will be chances to win some pretty amazing products each and every month (and trust me they are all deliciously good from food to fashion and beauty - we love them all!). Most of all thank you for reading our monthly newsletters (we have an extremely high open rate, and for that I am grateful). Please keep all your questions, comments and emails coming at drjoey@drjoey.com - I love hearing from you! A new Shulman Weight Loss clinic is opening in Toronto! In order to celebrate all programs at Shulman Weight Loss (with the exclusion of our maintenance program) will be 10% off until the end of January. That is $100 in savings! This year... lose the weight and feel your very best with Shulman Weight Loss - proven results, easy to follow and hormonally balanced. See below for details on how to book in for your free initial weight loss assessment with Dr. Joey and her team! 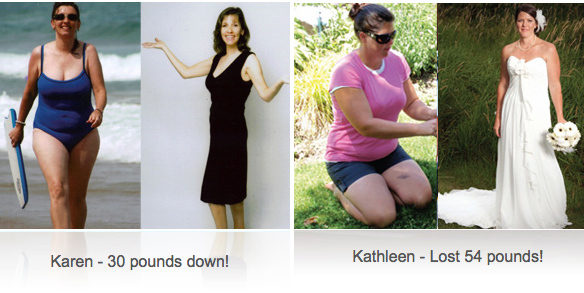 We have picked our 3 Cityline viewers for the Cityline 2015 weight loss challenge! To follow along, please visit www.cityline.ca. This is your year to make peace with food click here to read more. 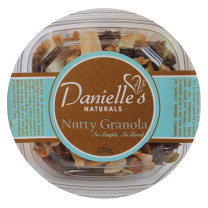 Danielle's Naturals believe in blending simple, whole food ingredients for a delicious and healthy outcome. Danielle's nut and seed based snacks are low in sugar, grain-free, and rich in healthy monounsaturated fats for balanced blood sugar and sustained energy. The blend is made with care in small batches to ensure freshness and quality. 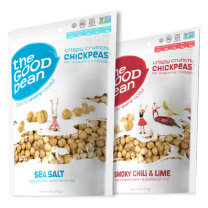 The Good Bean's roasted chickpea snacks are so crispy, crunchy and flavor packed, they will not disappoint! One serving has as much protein as an egg, and as much fibre as 2 cups of spinach, and they're 100% gluten-free, non-GMO, and vegan. Try one of their many flavors... including sea salt, chocolate, mesquite BBQ or cracked pepper. With cold and flu season here, I find I am constantly washing my hands throughout the day. Kiss My FacePomegranate Acai hand soap combines ingredients like olive oil, aloe vera, pomegranates and acai to give you a moisturizing and cleansing formula that smells great and won't leave your hands dry. All Kiss My Face products are cruelty-free, free of parabens, dyes, petroleum and synthetic colours and use plant based cleansers and natural botanical moisture. Thinking about cutting back on your caffeine intake this year? If so, we have perfect product for you. 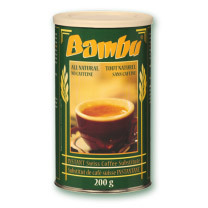 Bambu Coffee Substitute is a fabulous alternative to coffee... and it is 100% natural and caffeine free. Made with chicory figs, wheat, malted barley and acorns, this coffee substitute offers a velvety smooth flavor with only 5 calories per serving! Melt ½ tsp of butter in nonstick skillet over medium-heat. Sweat the mushrooms and onion for 6 minutes, until the mushrooms are partially cooked and onion is translucent. Do not allow the onion to brown. Add chicken broth, remainder of butter, pepper, salt and cayenne pepper. Add onion, carrots, sweet potato, garlic, chicken broth, tomato, paste, balsamic vinegar, mustard, and bay leaves. Stir to mix everything together. Place slow cooker on high heat for 4 to 5 hours or until carrots and sweet potato are tender. In the last hour, add kale and red peppers and stir to combine. Add salt and pepper to taste. Drink 2 liters of water each and every day. Be sure to add fresh lemon to your morning water for an extra digestive cleansing effect. Move it. Engage in cardio vascular activity 3-5x per week. Along with planned work outs - move often throughout your day (i.e.take the stairs, get up from your desk each hour to move - it all helps!). Watch your added sugar intake. Switch to low glycemic coconut sugar to sweeten your coffee or any baked goods. While often tricky in the beginning drop your grain at night. This little tip is hugely effective for weight loss. For skin, hair and nails eat fat! Do not be scared of the right types of fats such as avocados, coconut oil, walnuts, pistachious, almonds and olive oil. Eating the right type of fat can help, not hinder weight loss. I have been saying for many years - sugar and refined flours are the main cracks in our food system wreaking havoc on our health. Finally a documentary that substantiates what health professionals know! 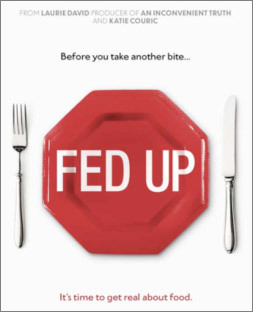 Fed Up shows how the first dietary guidelines overlooked the role of sugar in increasing risks of obesity, diabetes, and associated health outcomes, particularly in children. Before you take another bite of your next meal... it is time to get Fed Up! 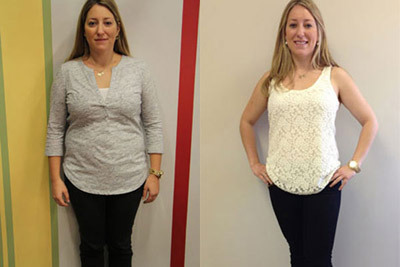 NEW YEAR, NEW YOU AT SHULMAN WEIGHT LOSS CLINICS!